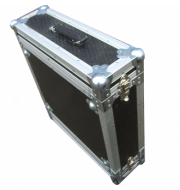 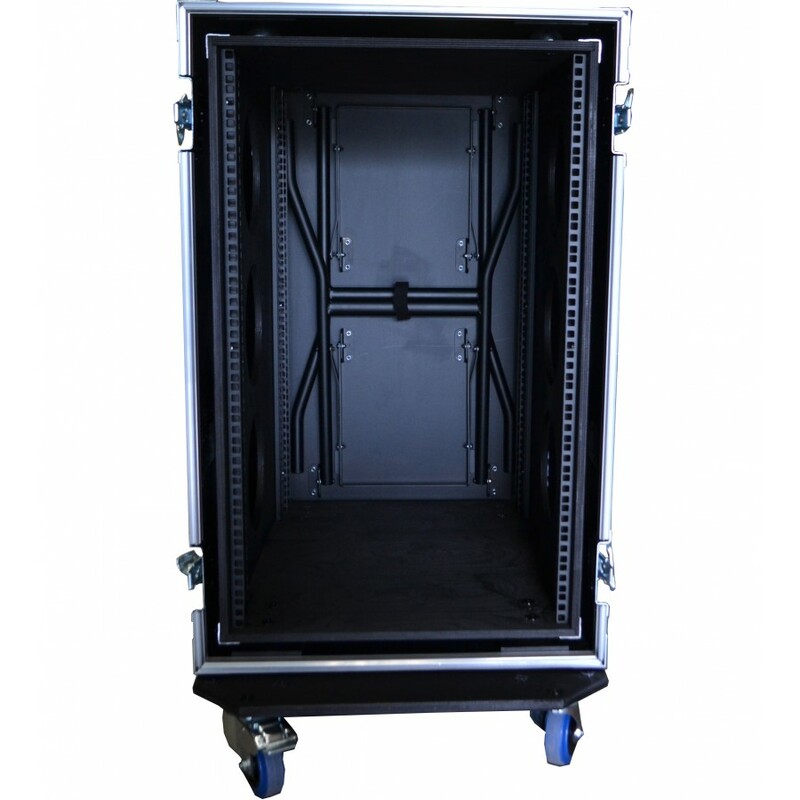 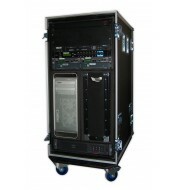 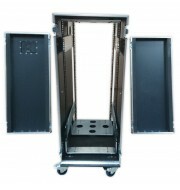 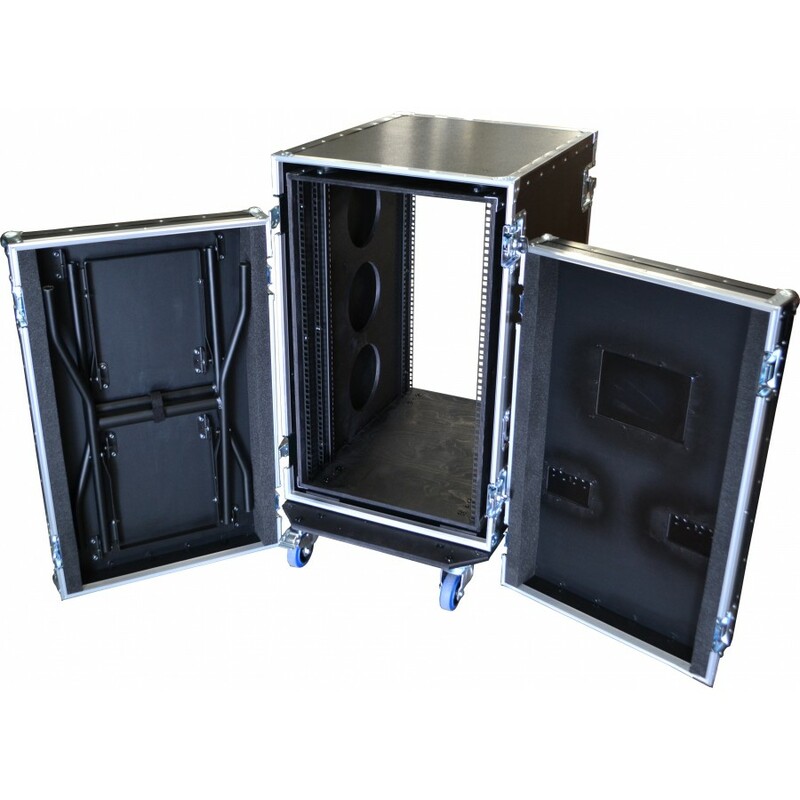 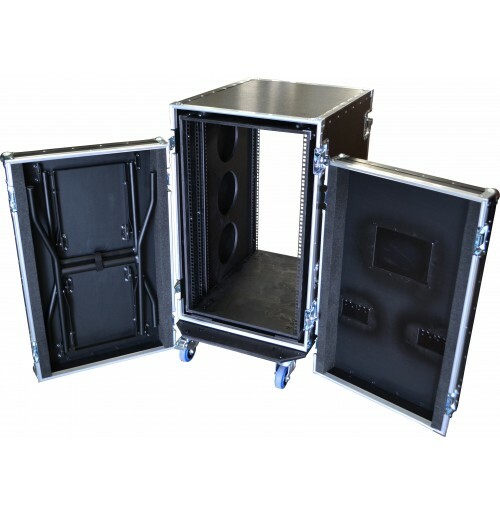 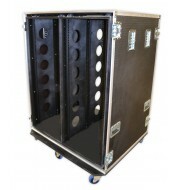 This shock mounted rack case is manufactured using 9mm birch plywood and is reinforced with aluminium edging to create a strong uniformed rack mount cases. 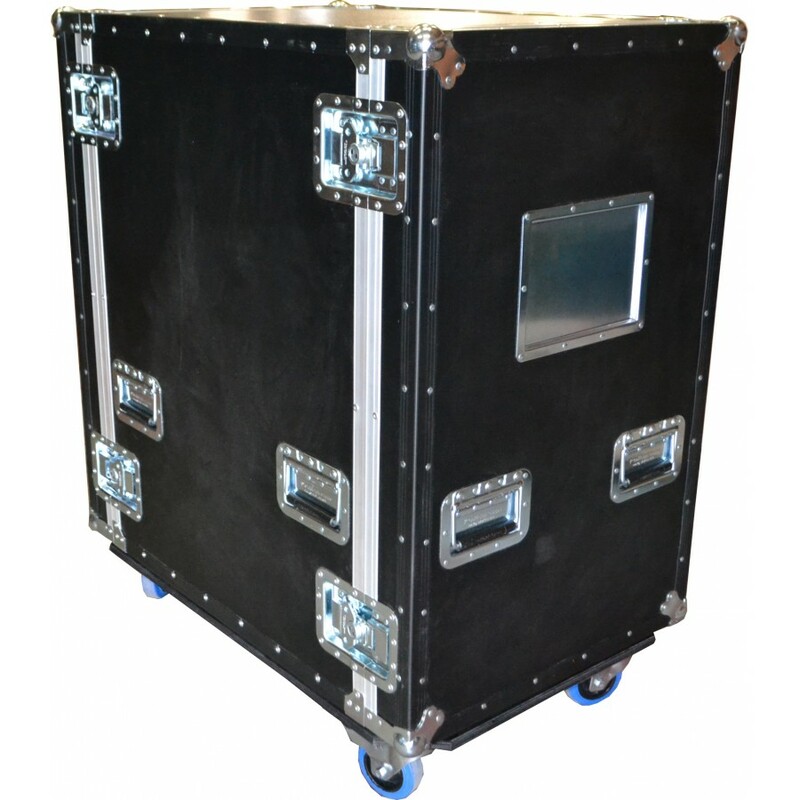 The plywood is bonded with a black PVC laminate to enhance the sleek design. 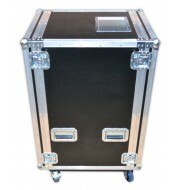 The front lid of the case contains 50mm low density polyurethane foam strips to cushion the unit during transportation whilst the rear lid of the case contains folding table legs which extends 90 degrees to form a custom work table.